From numerous lakes to an endless array of attractions, the lone star state has plenty of fun filled activities for your family to enjoy on your next vacation together. 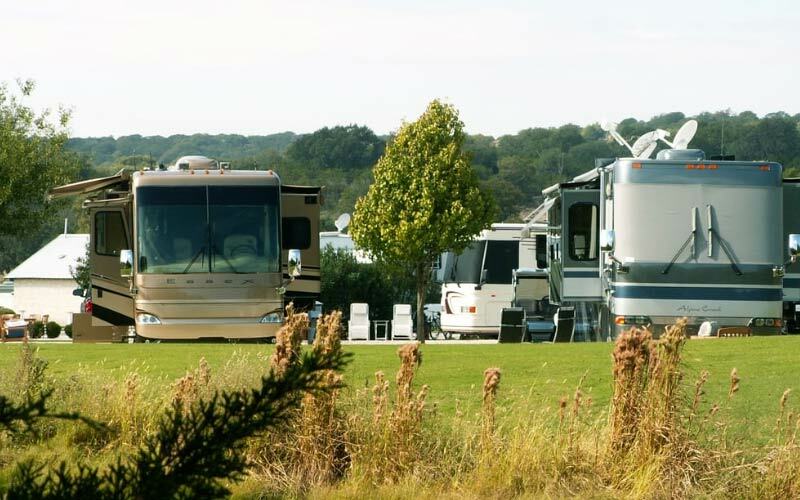 RV parks in Texas are not only more cost effective than overly-lavish hotels, but are always full of their own private amenities for your group to enjoy. This lakeside resort is so close to an array of attractions; you’ll find yourself wondering how you can do it all. 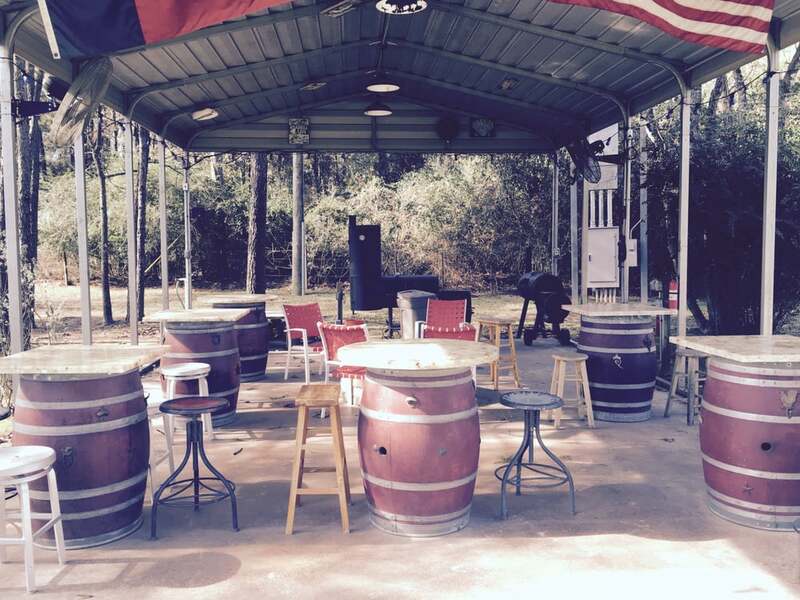 If music and dancing is your thing, be sure to check out LaLa’s Dam Red Barn, or Gruene Hall. The lake itself offers tubing, rafting and kayaking. If you think you’re a brave soul, you might want to visit the pavilion around 3 AM. According to local legend, a siren is supposed to emerge from the lake and walk around this area at night. Just make sure to plug your ears if you see her…many folks have become hypnotized by her and have followed her into the lake to drown. At Fredericksburg there’s no need to leave the campsite in order to hear good music! The park has its very own stage, and local musicians come and play for free on most Friday and Saturday nights. During the day, the town of Fredericksburg has a variety of activities to offer, including the theater, museums and boutique shopping. If you like games, this site has horseshoe pits…just be sure to leave the area once it gets dark. Locals have said that a black, shadowy apparition emerges from the ground and lurks in this area. If it sees you, it will try to smother you inside of its black, swirling mass of a body. 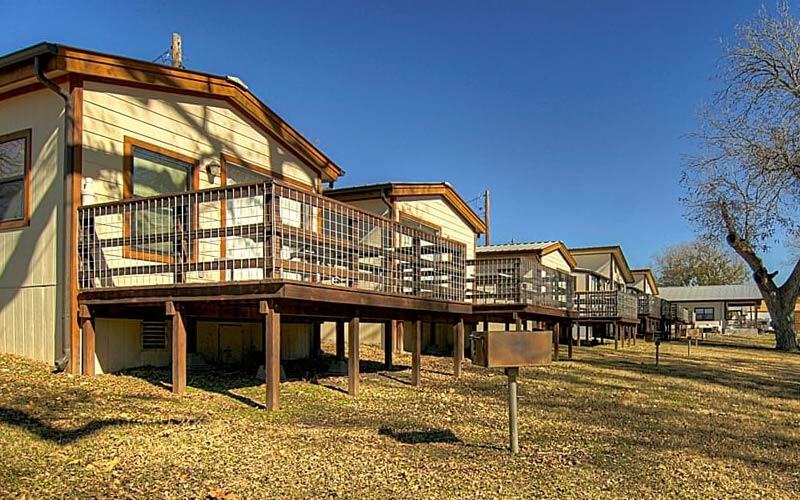 With three hundred feet of shoreline and a private beach on Lake Livingston, Northshore is an ideal location for anyone who enjoys spending a lot of time down by the water. You can spend the day with your toes in the warm sand, or on a tube out in the water. While you may feel the environment is safe enough to let your kids roam free, make sure they avoid the lake if they are traveling by themselves. Last year, a woman was warned by a medium, when she asked the psychic for guidance, to keep a watchful eye on her children on her next vacation. 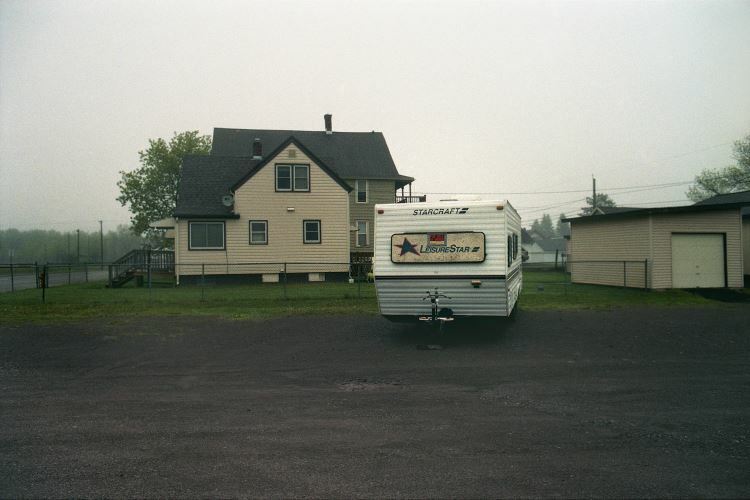 Several weeks later the woman and her family visited this RV park. Soon after, the woman’s young daughter told her that she had seen a “clear colored” man out in the water, beckoning her to join him. When she shook her head, the man started vomiting up a mysterious black liquid. It also ebbed from his eyes and his nose until she became so scared she ran away screaming. Those who enjoy fishing will be pleased with the seven large ponds at Mill Creek, which are heavily stocked with fish. This cottage and RV park also boosts several man made waterfalls, including one that drops into the outdoor pool. In nearby Tyler, be sure to check out the beautiful cats at Big Tiger Creek, as well as the Tyler Zoo. Both are sure to be a big hit with kids. If you’re thinking about potentially renting out the Grand Lodge space for an on-site party, you may want to think again…Returning visitors avoid the facility, and claim that a poltergeist lives there. The spirit has been known to throw objects across the room at anyone who enters the lodge alone. One young man even believes that the entity followed him back to his campsite, and trashed his RV while he was sleeping. 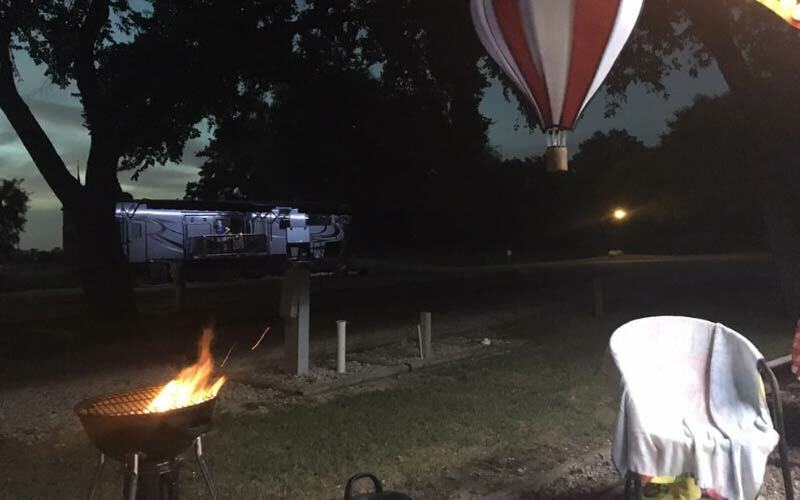 Of all the RV parks in Texas, Buckhorn is one of the few resorts that offer a section of the resort exclusively for campers who don’t have any children with them. For those of you who want a relaxing, quiet atmosphere in which to indulge yourself, then this area is for you. Enjoy a peaceful day at the lake, or explore the lively nearby town Bandera—home to lively bars, venues, and special events, such as a choreographed gun fight in the streets! Have an interest in the paranormal? Dare yourself to visit the recreation center on site around one in the morning. Rumor has it that a ghostly woman will appear, facing the wall in a corner of the room. She will hum quietly to herself for a few minutes, before suddenly twisting her spine, bending herself in half before disappearing without a trace. 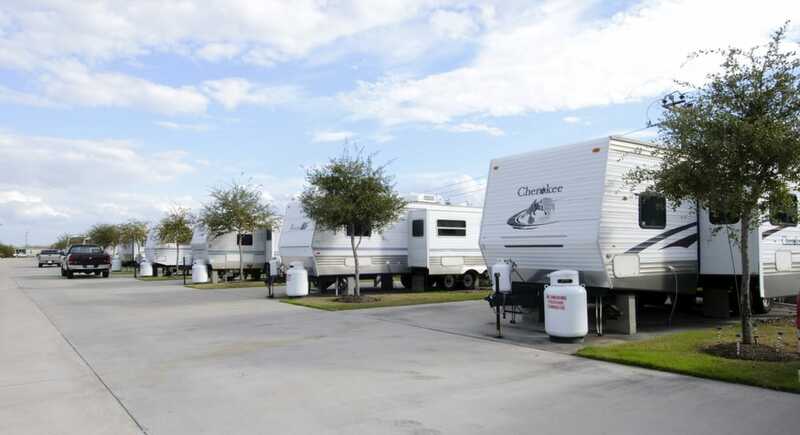 This large RV resort is a little piece of paradise right near downtown Houston. The resort includes a lake, which people can swim in, fish, or jog around via trail, as well as three separate dog runs to keep your pooch exercised and happy. 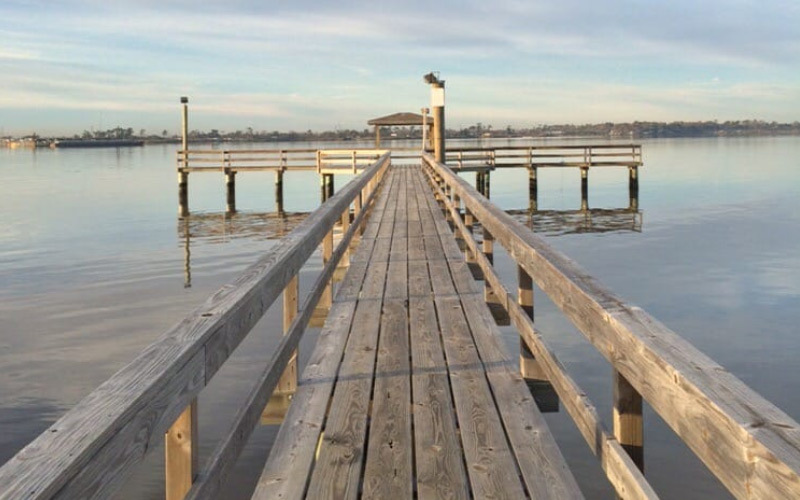 Lakeview is a short distance away from numerous activities in Houston, including Reliant Stadium, Museum of Fine Arts, and the Museum of Natural Science. …Until the woman showed up at the foot of their bed that night, wielding a knife. 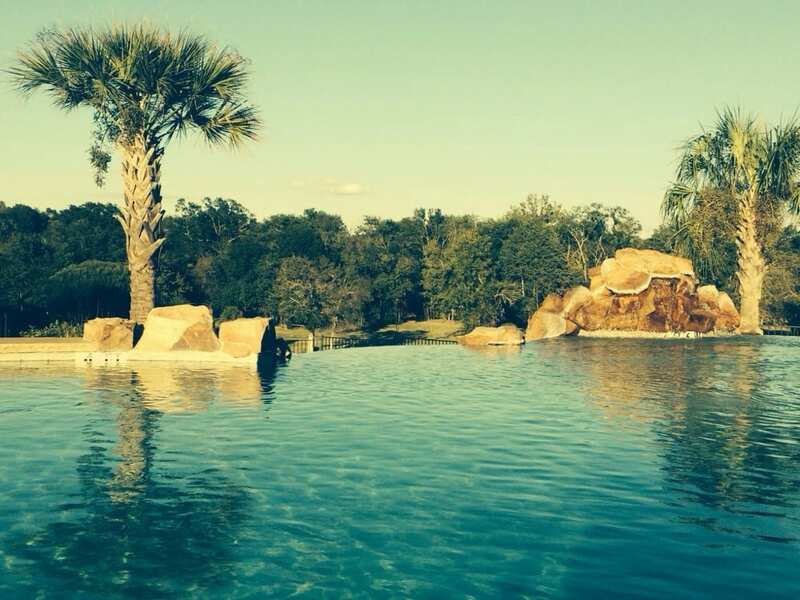 This river resort offers spectacular views, and lush, tropical style landscaping throughout. Spend a day walking the various river trails or down by the pier, catching catfish. San Jacinto is a great place to go for the history buff in your life. It boosts the San Jacinto Monument and battleship, as well as the San Jacinto Battlefield State Historic Park just a few miles shy of the resort. There are some returning campers who believe that the spirits of dead soldiers wander through the campsite late at night. Their faint bodies can be seen walking through the site, accompanied by the sounds of phantom gunshots, and screams. A local psychic claims she can channel the spirits and help people speak to those who have passed beyond the veil. Enjoy a good adrenaline rush? 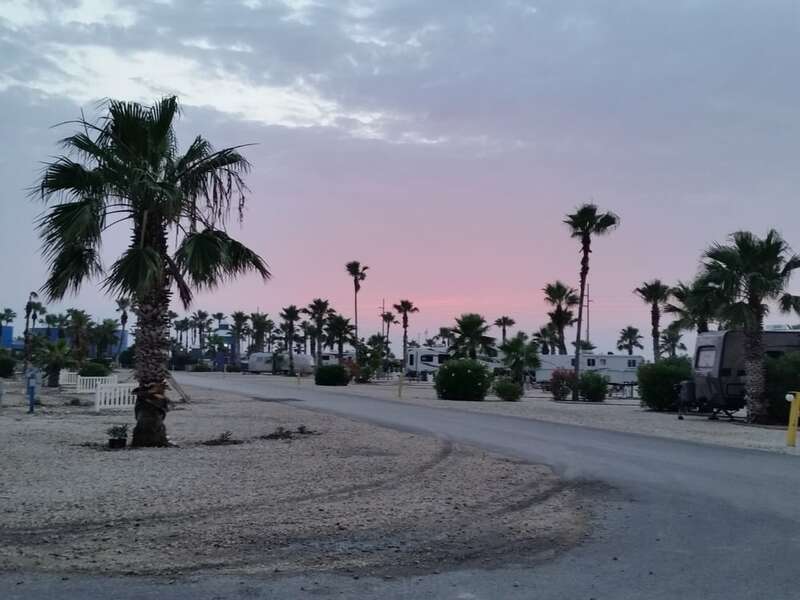 La Hacienda may be the perfect RV resort for you. Lake Travis, which is just a short drive away, is where the Volente Beach Water Park is, full of rides, pools and activities. Also nearby is the Cypress Valley Canopy Tours where you can zip line and zig zag your way through the treetops. For those who enjoy keeping their feet on the ground, enjoy a round of putt putt golf on site. Up for a spooky challenge? Visit the clubhouse after everyone else has gone to bed. According to two witnesses, the apparition of a young girl will appear—walking on the ceiling. When the two stood directly beneath her, she opened her mouth and vomited blood all over them. There are many RV parks in Texas, but few that are as aesthetically pleasing as Rayford! Enjoy a dip in their large heated pool and hot tub, or work up a sweat in their modern fitness room, loaded with equipment. For those of you who like to play golf, Rayford is ideally located. The Links at West Fork is just up the road, as well as several other golf courses in the area. If anyone in your group likes to fish, make sure they avoid the pond after sundown. Rumor has it that a strange, half-man half fish creature lives in the murky depths of the pond, and has been known to bite people if they get too close to the edge while it nocturnally feeds. Those who have witnessed the creature have said it is the most disgusting and frightening thing they have ever seen. This beautiful resort is a great place if you and your family members enjoy having endless variety at your fingertips. There is a sandbox, and large playground for the young ones, a recreation room with ping pong, darts and games for the teens—even a playground for the family dog. This resort is also five minutes away from the beach, parasailing and dolphin watching. Want to shoot some hoops? The site has a basketball court, but it should be avoided around four in the morning. Rumor has it that a young man committed suicide in the area a few years ago. Now, his spirit is said to reappear by the court, and will stand there slitting his own wrists until the court is covered in blood. Have you stayed at any of the RV parks? What was your experience like? Tell us in the comments below.